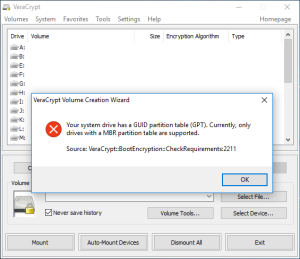 If you have upgraded to Windows 10, it is likely you will run into problems enabling full disk encryption / system encryption with VeraCrypt due to the GPT configuration of your disk. First of all, I will assume your happy to upgrade your system to Windows 10, this is available to you at no cost till Mid-2016. If you would rather stick with an earlier version of Windows, that’s fine, you will just need to adjust the below instructions slightly to suit your situation. 1. Upgrade to Windows 10. 2. Check you have a GPT disk, if you have an MBR, you do not need this guide. 3. Check Windows 10 activated successfully, if you don’t, you could run into big issues later. 5. Backup, again. Separately to the first. 6. Reboot your system and use the special key to enter setup, likely to be F2, F11, Delete or similar. 7. Disable secure boot, and switch from UEFI/EFI to legacy mode. NOTE: Disabling secure boot does have some implaications (out of scope of this article), however you can not have this and VeraCrypt at the time of writing. 8. Boot from the media you created, this may require a further change in setup or a seperate special key, for example F12 is sometimes used for ‘boot menu’. 9. 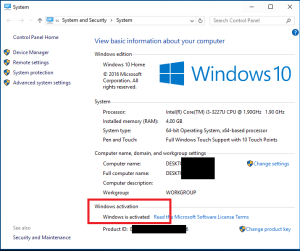 Start the Windows 10 installation, you can skip the licence key if you do not have one and your system sucessfully activated following an upgrade to Windows 10. 10. You will need to delete all the partitions from your system. This will destroy all of your data and programes. I have warned you, and you have been advised to backup twice already. 11. Once all partitions have been removed, you can create a new one, most likely the entire disk. Note that this only works for disks below 2TB. 12. Complete the Windows 10 installation by following the onscreen instructions. 13. Once the system boots into windows, ensure its connected to the internet and that Windows 10 has activated sucessfully. 14. 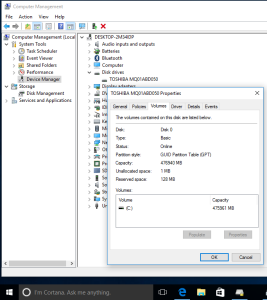 Install VeraCrypt and attempt system disk encryption.